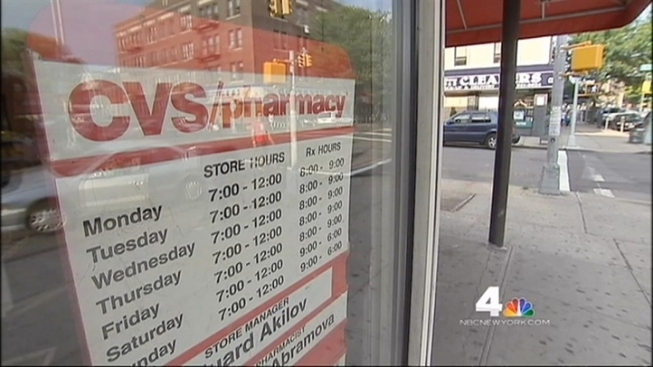 During last week’s heat wave that saw temperatures in the 90s for seven straight days, a Brooklyn CVS pharmacy lost its air-conditioning, and some customers and workers have raised concerns that the intense heat may have compromised drugs stocked on the store’s shelves. “It was extremely hot in there. I would rather be outside,” said Jose Moore, who visited the store twice last week. One worker at the Ditmas Avenue CVS in Kensington, who spoke on the condition of anonymity, said several customers wondered aloud during the heat wave whether the pharmacy’s stock of prescription and over-the-counter drugs could withstand such high temperatures. Michael DeAngelis, a CVS spokesman, said in a statement that vandals had caused damage to the condenser coils of the pharmacy’s A/C unit. DeAngelis said store staff first reported the air-conditioning issue on the evening of July 16 and the company took remedial steps to “keep the condenser coils cool” the following morning. According to the CVS worker who talked on condition of anonymity, the temperature inside failed to improve. Several employees at the store said electric fans were also set up in the aisles in an effort to cool things off. DeAngelis said temperatures never exceeded storage requirements set in place by the U.S. Pharmacopeia. Those standards say average storage temperatures for drugs over time should not exceed 77 degrees. The rules allow for short-term spikes in temperatures only if the average temperature remains 77 or below. Between July 15 and July 19, the lowest recorded temperature in the store's zip code was 77.5 degrees, according to the Old Farmer’s Almanac, which uses readings from the National Climatic Data Center. The highest temperature reading outside the store was 97 degrees. CVS would not release any of the temperature readings the company gathered from inside the store. “I certainly wouldn’t want to shop in a pharmacy where there is no air-conditioning and the temperatures are in the 90s,” said Mark Smilovitz, a pharmaceutical consultant who owns L&H Pharmacy on Manhattan’s Upper East Side. He says he would recommend the disposal of drugs that are exposed to several days of intense heat. “It is not that difficult for them to come in and swap out the merchandise. It may sound daunting but it is certainly doable,” Smilovitz said. Moore, the customer, said the store was so hot on Tuesday and Wednesday, he decided not to wait in long lines for his wife’s medication. Once the heat wave broke over the weekend, he went back to pick up the prescription.